Fort Wayne, IN - The purpose of Central Christian School (CCS) is to help children become lifelong learners, and we at Skagga, Inc. have been privileged to assist them in this endeavor. Through working with CCS on their new website, we have been able to learn about the amazing opportunities they offer for kids in Fort Wayne and the surrounding areas. 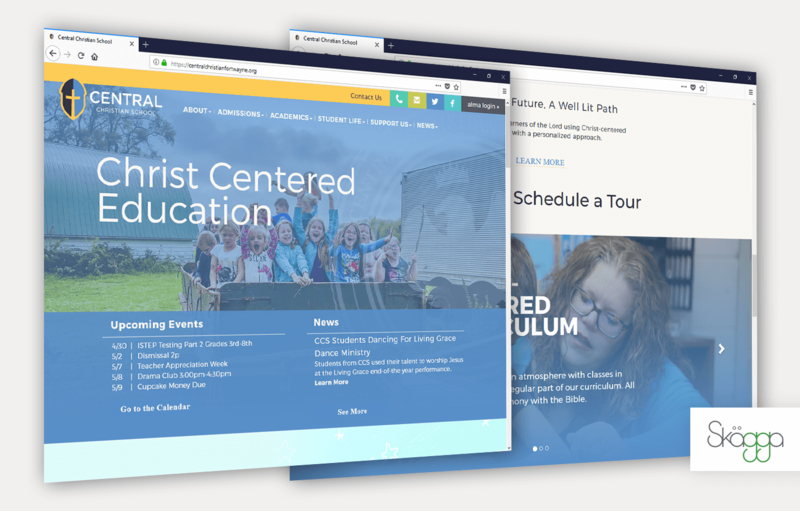 Building a website for a school starts with some additional prerequisites, and for CCS we knew that we needed a mobile-first design that would communicate and showcase "fun" along with academic and informational content. With this in mind and through our collaboration with the CCS staff, we decided on a photo-saturated layout, paired with a cheerful color palette and modern fonts: an embodiment of the personalized, and engaging experience that defines Central Christian School. Find out more about the outstanding opportunities at Central Christian School and check out the new website at centralchristianfortwayne.org.